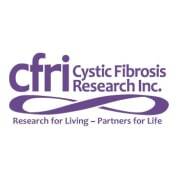 Cystic Fibrosis Research, Inc. Cystic Fibrosis Research, Inc.
CFRI funds cystic fibrosis research, provides educational and personal support, and helps to spread awareness of cystic fibrosis, a life-shortening disease. CFRI was incorporated in 1975 by a small group of CF family members whose children were not expected to survive their teen years. These founding members were committed to keeping overhead low so as to raise funds for research. Originally, the founding members were all volunteers, until the first executive director was hired in the early 1980s. Initially focused on research, CFRI responded to the CF community’s needs and expanded its programs to include educational and support programs. CFRI grew into a million-dollar agency in 2012 and continues in its efforts to fund research and to provide education, advocacy, and psychosocial programs and services to those with CF, as well as their families and caregivers. Nearly all of CFRI’s original founders have since lost their children to cystic fibrosis, yet they’ve remained active with the organization because of their commitment to finding a cure for this debilitating disease. Cystic Fibrosis Research, Inc. accepts donations. Donate Now. Would you recommend Cystic Fibrosis Research, Inc.? Very warm group of people, Mary Convento (manager of volunteers) is a very sweet and dedicated person, super respectful of the volunteers. Cystic Fibrosis is a horrible disease, and this organization provides patients and their families support and educational activities in order to have a better life (among other things). The people at CFRI do great work to help the CF community in terms of research and support and fundraising, etc. They are very welcoming and friendly. Since I hadn't volunteered in a while, I was nervous when I first volunteered there, but soon enough I felt like I fit right in with everyone else. Like I said, everyone's really kind and they obviously care about the people with cystic fibrosis and their families and such. They're great people to learn from and to be around in general. I would definitely recommend volunteering there; I love it. It will pay you dividends.